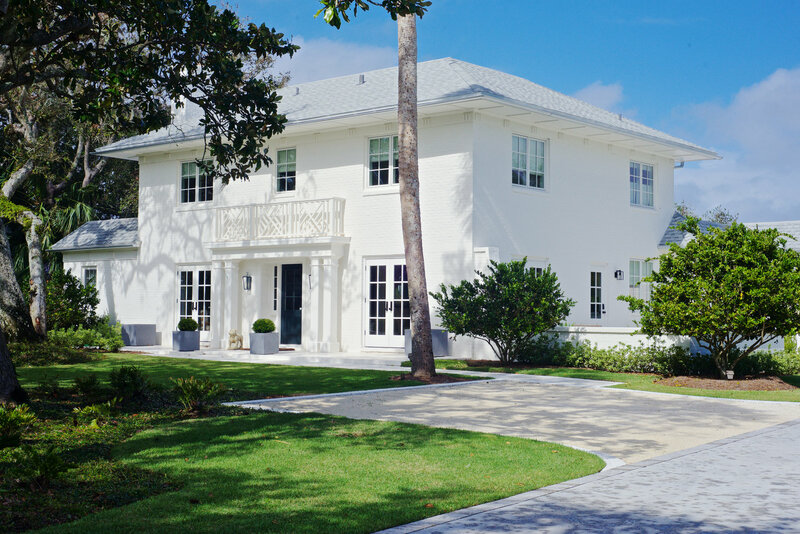 I recently came across this beautiful home that has been renovated and decorated by Starr Sanford Design who are an architecture and interiors firm specialising in coastal properties, and I just had to show it to you. Come and take a look. When I first saw this home, I guess I fell in love with the simplicity of the design and the stunning kitchen in this home. 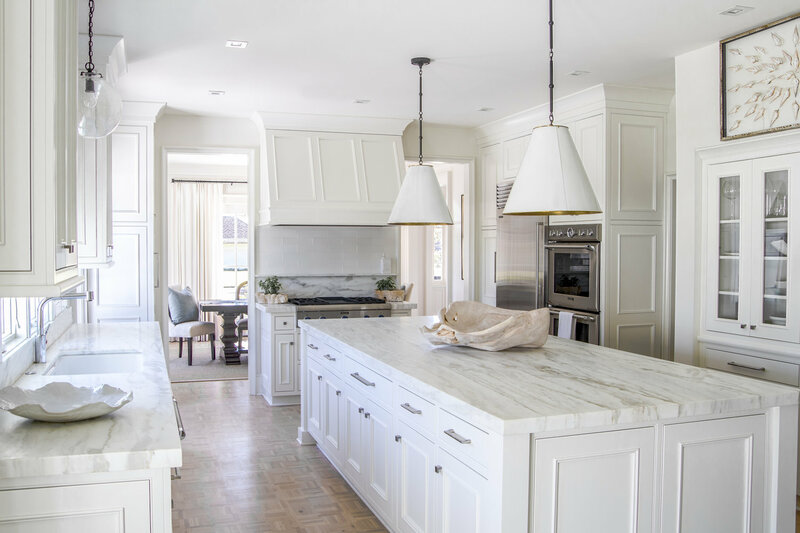 With pendant lights above the large kitchen island bench and beautiful cabinetry and finishes throughout the kitchen, it would be a dream to prepare any meal here. The kitchen has been finished with a white and grey marble bench top and marble splash back. 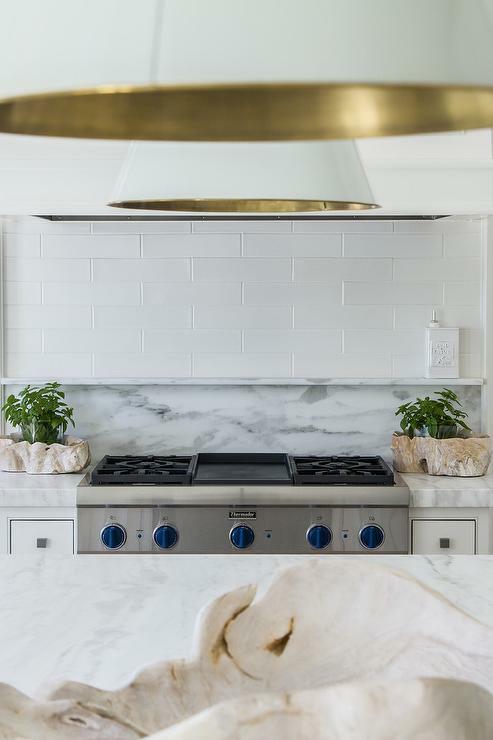 I love how they have incorporated a marble spice ledge into the kitchen design. These practical design features make a beautiful kitchen so user friendly. I love the details in this dining area with just enough cushions in this window seating arrangement and a vase filled with a few lush green palms. 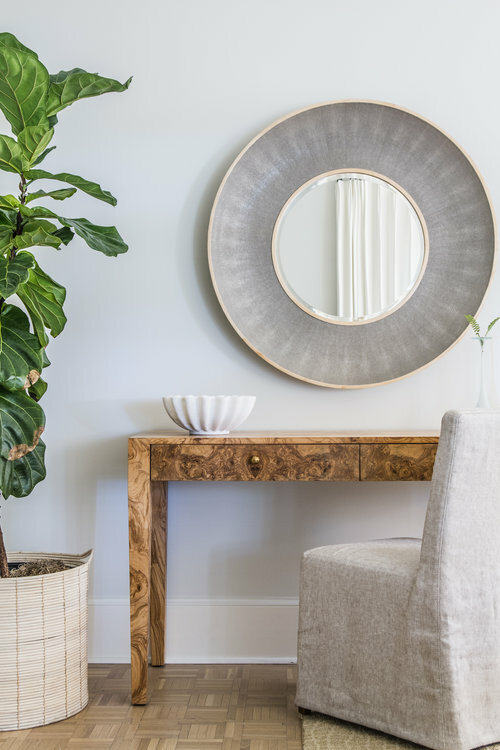 A round gold mirror with grey trim is hung above the timber desk in the bedroom, with a simple linen slip covered chair. 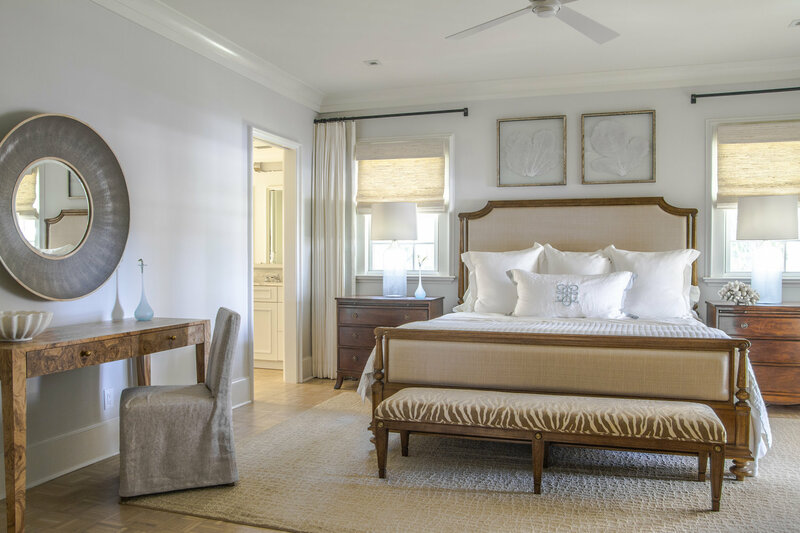 The homes that are designed by Starr Sanford Design are mainly throughout the South and along the Atlantic of the USA. There is so much detail put into the designs of their homes with an environmental approach to residential design with outdoor living spaces, verandas, balconies, large windows, and louvered shutters. You can view the Starr Sandford Design Portfolio here.